I remember our drive down here to GDL, I cried most of the way. Mostly because I was leaving behind my kiddos. Which, looking back, was really more about me than them. I have such sweet memories of life in the different places I have lived that I should know by now that moving isn't nearly as bad as I think. 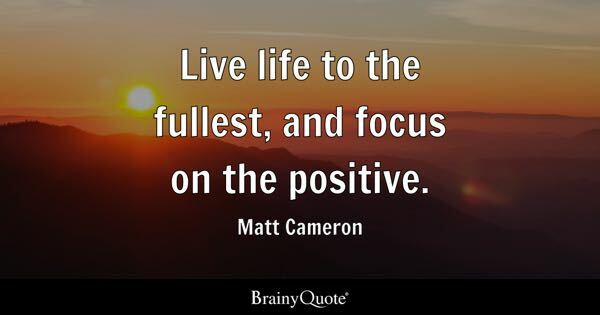 Life can be lived to the fullest, anywhere you are... if you focus on the positives. And there usually are lots of positives if you choose to look for them. Most often I don't even need to look that hard. So, living in GDL can be good or bad, depending on my focus. My kids aren't here, or my family, or my friends... ... but look what is here... ..
Let me state the most obvious stuff just to get it out of the way.... the weather (blue skies and sunshine), the food (tacos, chilaquiles, etc, etc), the warm, kind, friendly people. However, what do those things look like in my life? Well, we get to enjoy the people in various ways. We get together with several different groups to study Scripture. It has been such a blessing to do this. I truly love studying the Bible with my Catholic friends because they open my eyes to new ways of seeing things. We are growing together. I also love their hunger to learn and grow. Each group has their own dynamic and thus brings their own blessing to my life, and I hope we do to theirs. Another way we get to enjoy people (and food) is through celebrating birthdays. Also we have enjoyed people by our friends introducing us to things they are involved in. Recently Ernie and I joined our friend, Elena (from the gym) at a home for children. Together we served the children breakfast and then played with them. It was very clear that they were in need of people to come alongside them. We got to know our friend Elena better and found a way to bless those in need. We are looking at ways to bring others in as well, to join us in reaching out. As you can see, many of our people events are connected to the gym. That is where we have met most of our friends. We see them daily, as we all go Monday to Friday. We don't just work out together, we hang out together. We build friendships. As a matter of fact, our gym has a reputation for being a social club vs. a training gym. Good for us, as we joined in order to meet people. Pictured above is Ernie and I with two of my instructors, Nelson and Natalia. I take several of Nelson's classes and occasionally his daughter's. We have also become good friends. They are from Columbia. They took us to a Columbian restaurant to try some of their typical dishes. We had a wonderful time, enjoying new foods and getting to know them better. There are many such opportunities to join people over a meal, and build friendships, as Latin's are a very relational people. Just up Ernie's alley! So, when I think back on 3 years ago, when we first arrived here... I can hardly believe the difference. While I enjoyed the relaxing days, going for walks in the park, it lacked the richness of people and relationships. Now it's about trying to balance all the people things, which are great, with down time to rest (hear an introvert in me coming out?). Mondays I am now teaching an English conversation class, (Ernie has a Skype Bible study with our sons and their friends), Tuesday evenings is a Bible study group, Wednesdays is another group, Thursdays is SEAN, and our weekends are either catch up times or social activities/ parties. Ernie also has an online 'Sunday Reflections with Ernie' video he prepares and then posts on Sundays.